You can see under water! 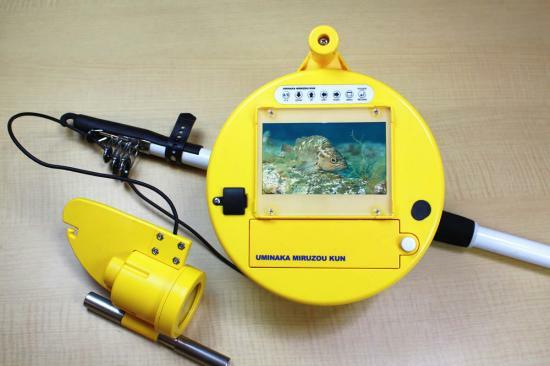 Today, we would like to introduce fun item for fishing, called "Umi-naka miru-zou" means, you can see under the sea. We do not sell this goods in our web shop, but if you are intersted in, please contact us! Today, We would like to introduce tackleumi electric reel store's popular item, Alpha tackle POLARIS　IV500. Alpha Tackle is one of the brand of Atec Inc, they are not so famous like Daiwa or Shimano, but they are the number 4th fishing products maker in Japan. Alpha Tackle series is very popular among Japanese anglers with it's quality and cost performance. Alpha tackle POLARIS　IV500 is compact sized electric reel which is match for beginner but of course, good for the Veteran. This is Japan domestic model, it means owners manual and control panel is written in Japanese. Takcleumi make original English owners manual for you! You can get this English manual only from tackleumi!! 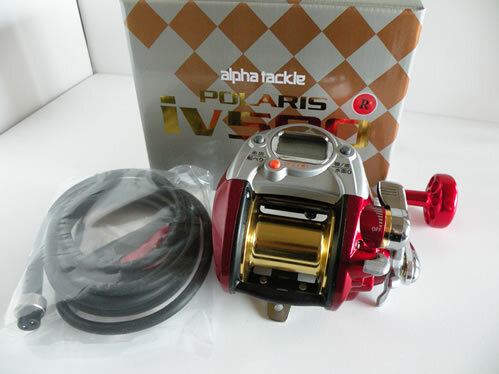 Get Alpha tackle POLARIS　IV500 NOW!! TackleUmi electric reel site newly listed New handle set. "Daiwa tanacom bull 1000Fe & Aluminum round knob SET"
Most popular powerfull electric reel Daiwa Tacacombull 1000 Fe is normaly has plastic black handle, but due to many customers request that they wan round handle, we made new set with golden round knob. We set golden handle when we shipout, so you can go fishing with this golden electric reel as soon as it arrives. Of course, we send pre-set plastic handle in your package. Biwa lake is the biggest lake in Japan and popular bass fishing place. At biwa lake, the biggest largemouth bass more than 10kg cought. Length 735cm, weight 10.12kg. Accoring to this news, the world record of biggest bass is 10.09kg. Biwa lake is Very near to our shipping manager Akira's home. Akira loves bass fishing at biwa lake. When you came to Japan, visit biwa lake and meet Akira! 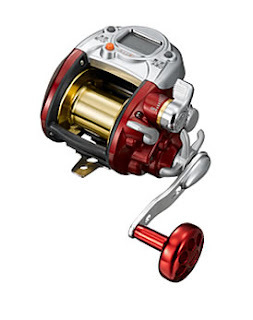 Abu Garcia ambassadeur Revo MGX,MGX-SHS now on sale! TackleUmi bait reel store update new item "Abu Garcia ambassadeur Revo MGX,MGX-SHS". The next generation of the REVOlution continues with the 5.4 ounce RevoR MGX. The combination of an enhanced compact design with our ground-breaking X-Mag? alloy frame and C6 carbon sideplates produce the evolution of ultra-lightweight low profile reel technology. Because this reel is so much more compact and ergonomic than anything on the market today, we introduced new gear ratios for the MGX that provide similar line retrieve rates as other existing Revo reels. The Revo MGX 7.1:1 gear ratio provides similar inches per turn "IPT" to other standard 6.4:1 Revo models (28" IPT). The Revo MGX 7.9:1 high speed gear ratio model provides similar IPT to other 7.1:1 high speed Revo models (31" IPT). Takara tomy Japanese toy sell vertucal fishing game toy machine called "Virtual Master Real". You can play fisihing in your home, living, office. The toy comes with a camera and a display that superimposes virtual fish over the backdrops of wherever you are no matter where you are. If you are intersted in this toy, check out the movie below! TackleUmi addded new electric reel "DAIWA HYPER TANACOM 400F" on our web store. Daiwa's most popular 400 sized new model "DAIWA HYPER TANACOM 400F" is compact but powerful, just good to use for various fishing! Max drag 8kg & Max rewind power 15kg. You can easily get big fish with smooth drag and powerfull motor. 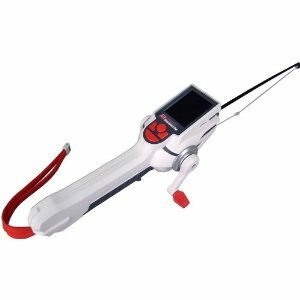 You can cut the time loss with it's speed!